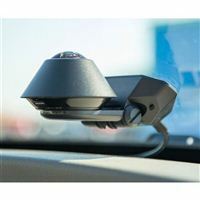 Protect your vehicle with this Waylens Secure360 car security camera. Its HDR engine and IR LEDs provide a clear view of the exterior and interior from day to night, and the smart thermal management dissipates heat for reliable operation under extreme conditions. This Waylens Secure360 car security camera delivers live alerts and offers remote monitoring via high-speed 4G bandwidth. 4.0" x 5.0" x 2.25"